Since working on Racer and launching it a few people have said, ‘oh it’s like such and such a game’ but I’m yet to find something that is truely as unique as this AND is in a browser. 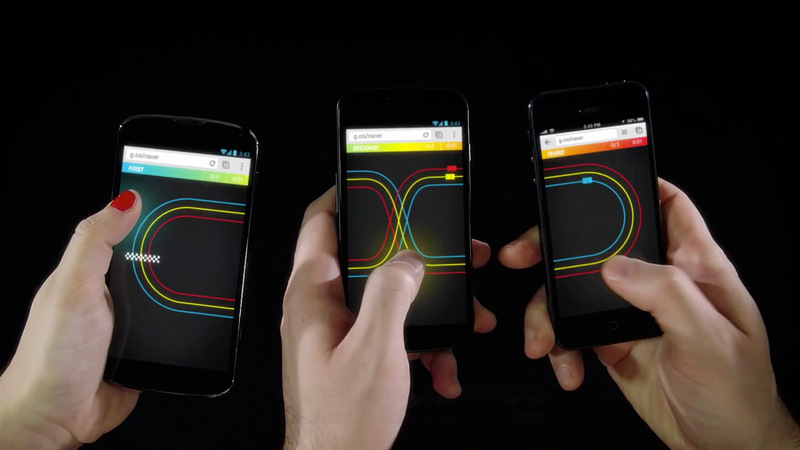 Racer is a multi-player, multi-device Chrome Experiment. 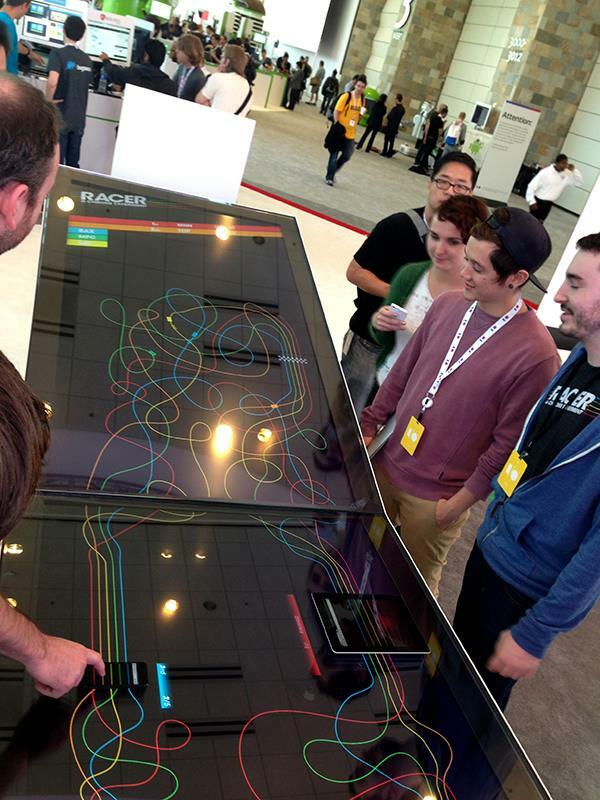 A retro-style slot car game played across screens. On phones or tablets, Android or iOS. Anyone can join. No apps. No downloads. 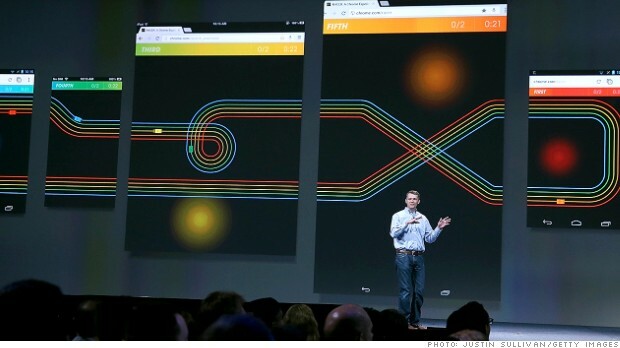 Just the mobile web. It’s now up for The FWA Cutting Edge Project of the Year. If you think it deserves it please cast a vote! And if you’re interested here’s the making of video which goes into detail on why it was so tricky to build. 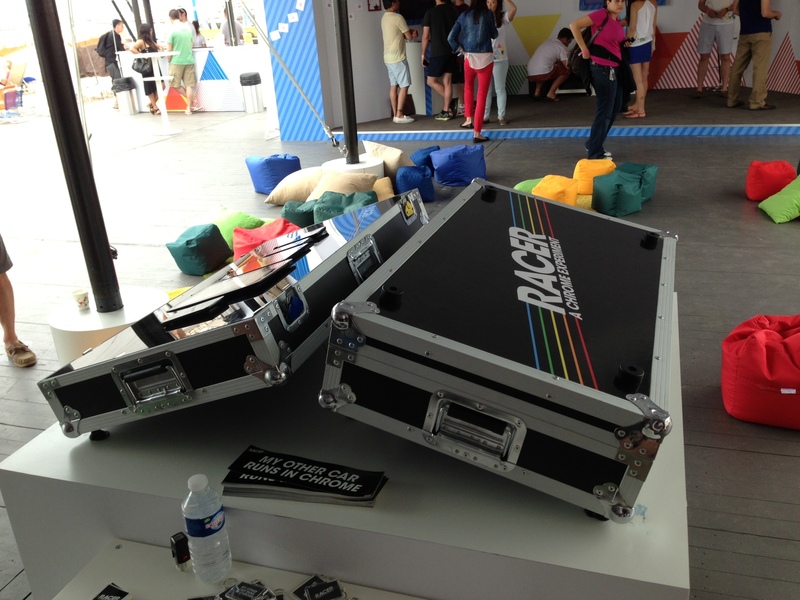 Here’s Racer being demo’d at Google I/O 2013 – live demos are always nerve wracking, thankfully this one went smoothly. One final plug to get your vote on if you like it thanks!